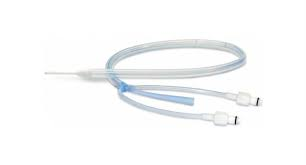 A new model of the EnsoETM, capable of enteral fluid administration while also managing body temperature through a patient’s core, from Attune Medical. 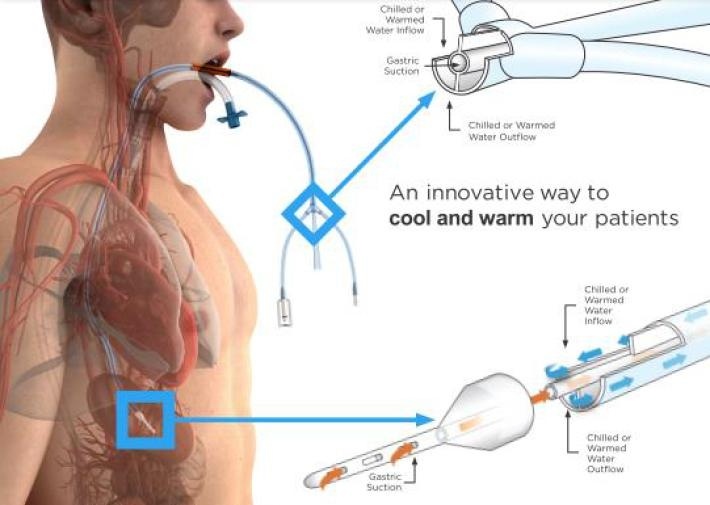 The new model will provide food, medication, and warming or cooling to a patient through the esophagus in conjunction with the ENFit connector, another product available from the company. The device will allow physicians to administer food without the need for a separate feeding tube while managing the body temperature of the patient. Attune Medical is focused on developing innovative targeted temperature management products with increasingly useful clinical features such as this new capability to administer tube feeds and medication through our device, all while delivering a safe, cost-effective and now more comprehensive alternative to other targeted temperature management options. The original model of the EnsoETM, which was called the Esophageal Cooling Device. The new model is the only device on the market cleared for body temperature management through the esophagus. Advantage of esophageal heat exchange is that heat is transferred directly into the core, and thus rapidly warming or cooling the patient.